Easter Letter Hunt – WIN Chocolate Goodies! 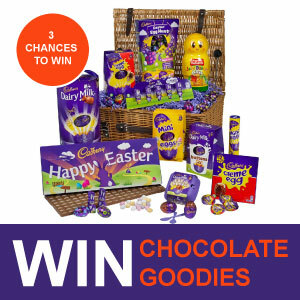 M Barnwell Services is giving you another chance to win either a Cadbury Ultimate Easter Basket, Cadbury Sharing Hamper, or a Cadbury Créme Eggs 48 Box. From Monday 25th March 2019, there will be EIGHT bunnies hidden within the pages of the M Barnwell Services’ website. Each bunny will have an individual letter. To be in with the chance to win one of the 3 fantastic prizes, all you have to do is find all EIGHT bunnies, re-arrange the letters to make a name of a popular range of seals, and send your answer to competition@barnwell.co.uk. THREE winners will be randomly selected from all the entries on Wednesday 17th April 2019 after 12pm.